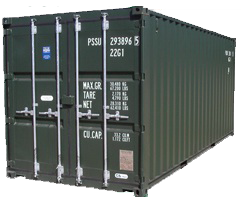 Standard shipping containers (ISO containers) are 20ft and 40ft in length and occasionally 10ft, 30ft and 45ft. Non-ISO containers are also available, usually 10ft, 8ft and 6ft. Many companies can supply ‘cut-down’ containers which are containers formed by reducing the length of larger containers; these can come in almost any size with 10ft, 12ft, 16ft, 24ft and 30ft being the most usual. 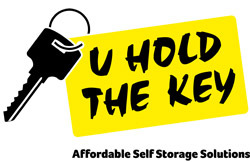 Cut-down’s are suitable for storage. The most common height of a standard shipping container is 8ft 6ins though 9ft 6ins high containers (hi-cubes) are becoming increasingly common. The standard width of a shipping container is 8ft but some pallet-wide containers are slightly wider. The sides of a shipping container are corrugated. The depth of the corrugation is usually 1oneinch (25mm), which means that two inches (50mm) are lost from the external width dimension. The back (blank end) of a shipping container is also corrugated and the doors are around 2inches (50mm) thick meaning that approximately 3 inches (75mm) is lost from the external length. The main reduction from external to internal dimensions is with height. The floor of a standard shipping container has an underside clearance of approximately six inches (150mm) and the floor has a thickness of 27mm (just over one inch). As the roof is corrugated another one inch (25mm) is lost resulting in an internal dimension of around 8 inches less than external – 7ft 10 inches though this can vary slightly. The through the door height is further reduced because of the steel top rail above the door which is a part of the structural integrity of the container which is four inches (100mm) thus reducing the entrance height to 7ft 6ins (2.28m), though this can vary slightly either way. There are three relevant weights of a shipping container, the Tare Weight, the Gross Weight and the Payload. These are painted onto the outside of the doors of a standard shipping container. Cut-down containers cannot hold the same weight as a standard container because the structure of the container has been altered. Shipping containers are designed to carry cargo. They are designed to be lifted vertically from above by cranes and transferred from ship to shore and between other forms of transport. Therefore they need to have strength in the top corners where they are engaged by the twistlocks of a container lifting crane. The corner castings in the top corners of the container are therefore points of strength. The strength is transferred down through the corner posts to the corner castings at the bottom and then through the floor. The floor is constructed of steel cross members approximately six inches (150mm) deep, which are approximately twenty inches (508mm) apart and give transverse strength and support the floor. The cross members are welded at each end to longitudinal beams which run the length of the container between the corner castings. This all means that the strength of a shipping container lies within the corner posts and the floor. Structural alterations or damage to these components will weaken the container. The information contained here is for guidance only and Parsons Containers Ltd. do not accept any responsibility for any loss or damages resulting from use or interpretation of this information.